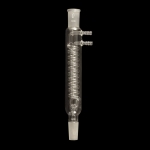 Borosilicate glass reflux Dimroth condenser with large diameter coil and wide body to provide maximum cooling capacity. 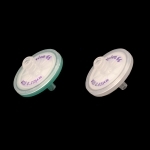 Excellent for use with high vapor pressure solvents. 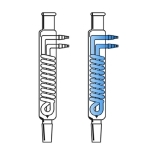 Condenser has an upper outer standard taper joint and lower inner joint, both of same size. Effective length 175mm. Joints size 24/40.